Congratulations to tour winner Tiffany H. and to host winners Laurie's Thoughts and Reviews and Archaeolibrarian - I Dig Good Books! 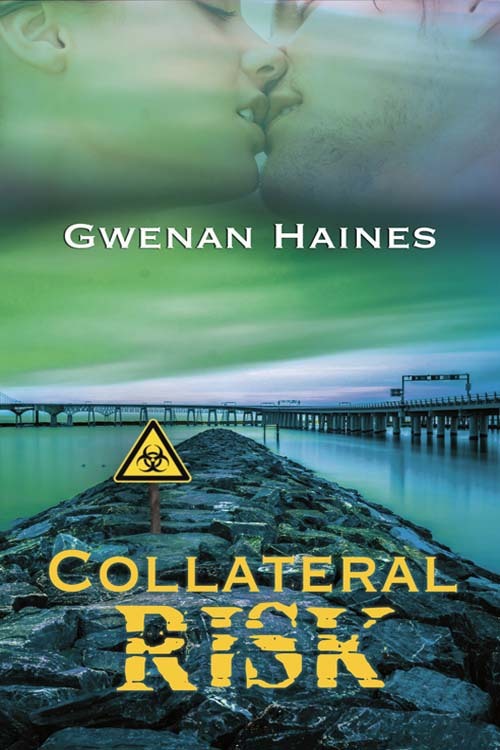 Goddess Fish Promotions is organizing a Virtual REVIEW ONLY Tour for Collateral Risk by Gwenan Haines, a 370 page romantic suspense available now from Wild Rose Press. The tour will run every Monday for 4 weeks starting on December 18, and the book is available in PDF, mobi and ePub formats. Gwenan Haines will be awarding a $20 Amazon/BN GC to a randomly drawn winner via rafflecopter during the tour, and a $20 Amazon/BN GC to a randomly drawn host. Additionally, Goddess Fish Productions will be awarding a $5 Amazon GC to a randomly drawn host. January 15: Archaeolibrarian - I Dig Good Books! Harlie's Books can do the 22nd of January. Locks, Hooks and Books can do Jan 22. Mobi please. I can do the 22nd I would like a pdf. Sharing Links and Wisdom can do Jan. 8. I would love to host and review and kick off the tour on 12/18 on Fabulous and Brunette!! I would prefer a PDF Copy - thanks! !